Can Snaking my Residential Building Drain Damage my Plumbing Pipes? When you get a clog in your plumbing drain pipes, you may be torn on whether to use a plumbing snake or hire a professional plumber to hydrojet your lines. Snakes are designed to twist into clogs and pull them out. When it works, the drain is clear. When the method fails, the clog could end up much worse and/or get pushed farther down the drain line. By contrast, hydrojets break apart and push clogs down the drain line and into the municipal sewer system, which cleans your residential building drain line better than a snake without compromising the structural integrity of your pipes. Plumbing snakes can be referred to as drain snakes or plumbing augers. No matter the name, they all perform the same task. When you have a clog in a drain pipe, the drain snake is snaked down the drain to the clog. The head of the snake contains a coil, hook or claw that is designed to grip the clog and remove it. When it works, the bulk of the clog is pulled out of the drain and the remnants of the clog are flushed into the sewer system with water. When it doesn’t work, the clog either doesn’t get removed or it is pushed farther down the drain, which can make it more difficult to remove. When a drain snake fails to remove a clog, it indicates that your pipe has a serious problem. There may be tree roots in the line, fallen pieces of pipe from a severely corroded line or another hard object that is clogging the pipe. In these instances, the drain snake will not remove the clog, and you will need the services of a professional plumber. 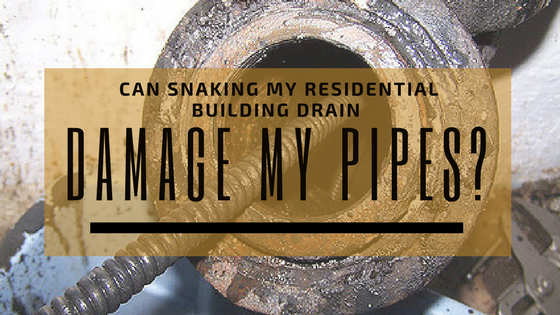 Additionally, use of the wrong type or size of plumbing snake can damage your pipes. There are several different types of plumbing snakes, including mini-rooters, toilet snakes, top snakes and snakes for large drains. If you use the wrong type of drain snake for the drain line, the snake could loop back on itself or scrape the sides of the plumbing pipe, causing damage that could lead to leaks and/or the need to replace the piece of pipe. Hydrojetting is a safer option than snaking a drain. When a drain is hydrojetted, a powerful stream of water is blasted through the drain. This breaks apart and clears the clog without damaging your plumbing pipes. Hydrojetting is also more complete. Snakes can leave behind debris that can help create a new clog. Having a professional plumber hydrojet your drains completely clears them. If your drain pipes are severely corroded, clogged or narrowed by debris, you may want to consider having your pipes lined with an epoxy liner. The pipe lining process involves inspecting and cleaning your pipes before installing the new liner. This means that your drain lines will be completely free of clogs and debris prior to the lining process. This ensures that your pipes are at their maximum diameter, which can increase the rate of flow through the pipe. Once your pipes are lined with our epoxy liners, the extended useful life of your pipes is extended, and you do not have to worry about further corrosion occurring in the host pipe. Pipe lining is also more affordable than pipe replacements because drywall and other finishes are not extensively removed. 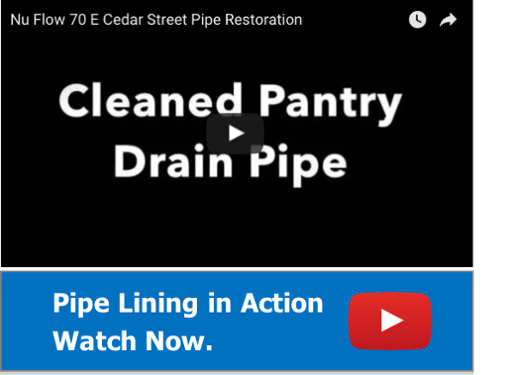 To learn more about how the pipe lining process can clean and restore your plumbing pipes or to schedule a pipe assessment, call us at 815-790-9000.